To no little surprise, I’m already a little behind on my 52-book challenge. Not too far too behind though: Religionskritikk was week 5’s book, and Humans are not from Earth by Ellis Silver was week 6. Juks has been pushed back as I can only really cope with one heavy book in Norwegian at a time and I thought best to read and review Religionskritikk as soon as possible after attending the launch event. I’m also half way through Greta Christina’s Coming Out Atheist, which is out in April. My review of that book will be my first contribution to Sanal Edamaruku’s new Rationalists magazine, which I am very excited about. 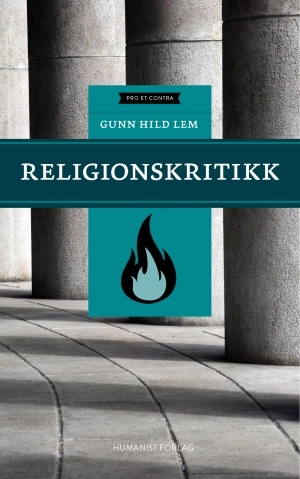 Although Religionskritikk contains criticism of religion (god is referred to as a psychopath on more than one occasion) and on some occasions New Atheists to, it is much more interesting for being a book about the most productive way to criticize religion. Lem stresses throughout the book that, whilst they are not easily separable, her primary concern is not strictly freedom of speech but how a multicultural, religiously diverse society is to function in practice. There are two forms of criticism: indirect and direct. Direct criticism is the focus of Religionskritikk and the area that is most tricky. The key message of the book is that dialogue is more fruitful than direct attack, and on this point it is hard to disagree. Because religion can be so deeply imbedded in a person’s psyche criticizing a person’s religion can feel like a personal criticism. Lem is at pains to point out a key difficulty for the religious, that those who have never had a religion are sometimes guilty of underappreciating: a person’s world view, organized by an understanding of night and day, dark and light, good and bad that is based on a single source (the bible), is fundamentally different to one that has never viewed the world through that lens. People who believe in god and hell, really believe, and academic arguments are only going to get you so far. In response to my recent post on the importance of rituals to non-believers, I received the comment “Isn't it fascinating how badly some humanists seem to understand actual living humans?”. Indirect criticism which comes from scientific progress; as we understand more and more about the world, god’s role and importance diminishes. No one has done more in this regard than Charles Darwin, who, in formulating the theory of evolution by natural selection, undermined a great number of religious claims and diktats about the centrality of human. Astronomy and medicine are two fields where indirect criticism is not felt by the religious. In the case of medicine, it reveals the human capacity for cognitive dissonance – everything that happens is god’s will, but we also do our best to fight the cancers and disease that god gave us. The purpose of the Pro et Contra series is to stimulate discussion, and in this, Religonskritikk, perhaps does a better job than Ytringsfrihet, which was more polemical in nature (although still excellent). 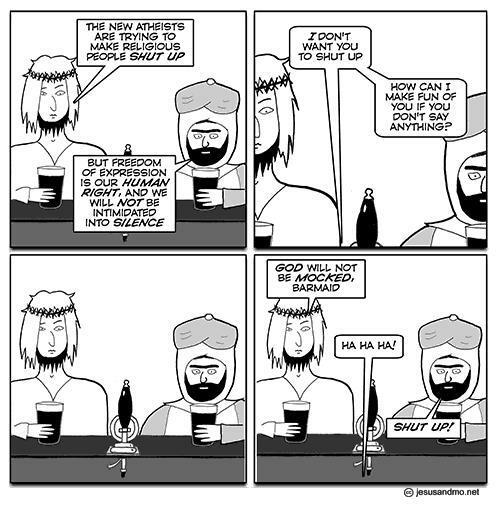 The chapter on blasphemy, for example, poses more direct questions than it provides answers. Like The Young Atheists Handbook by Alom Shaha, Religionskritikk emphasizes the human experience over the rational and the abstract. With a mixture of revealing personal history and thoughtful critical reflection, Lem reminds us that religion is a matter of hearts as well as minds and those who debate, discuss and criticize religion should keep that in mind. Feb 15 Do non-believers need rituals?